The original plan for El Salvador was for a short dash into this seemingly dangerous country but after a bit of reflection and having found a reliable local guide we plumped for around 10 days touring and were suitably impressed with the country. Interesting sites, great food, superb coffee and a bit of kayaking too. We bypassed San Salvador, the capital and went straight to Suchitoto where we began. 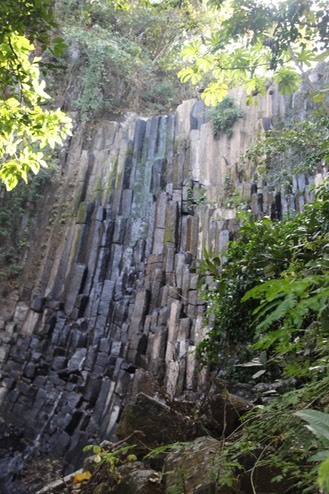 A stunning early find was a basalt waterfall near Suchitoto. It was dry but still very impressive. El Salvador has a substantial coffee industry and we indulged well on the local brew, along with excellent food. The best was steak with a coffee fungus sauce. A real surprise. 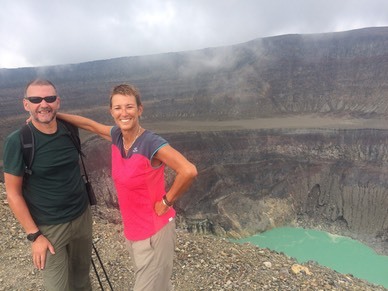 No holiday for us is allowed to be easy or restful so we duly climbed a volcano to get impressive views of the crater lake. Knackering, as usual. El Impossible National Park was a very underdeveloped tourist attraction and the birding guide we bagged was pretty useless but it was still good to experience. 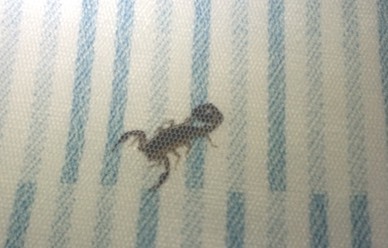 Less good was the scorpion I found in the bed, under the mosquito net!. The “Bed of Death” came into existence. Our final stop was on the pacific coast from where we had another good kayak session, launching early in the morning inland and paddling to the coast. All in all a much better than expected trip and well recommended.